Home / Question/Answer / IS THE ZODIAC ACCEPTABLE ACCORDING TO THE QURAN? 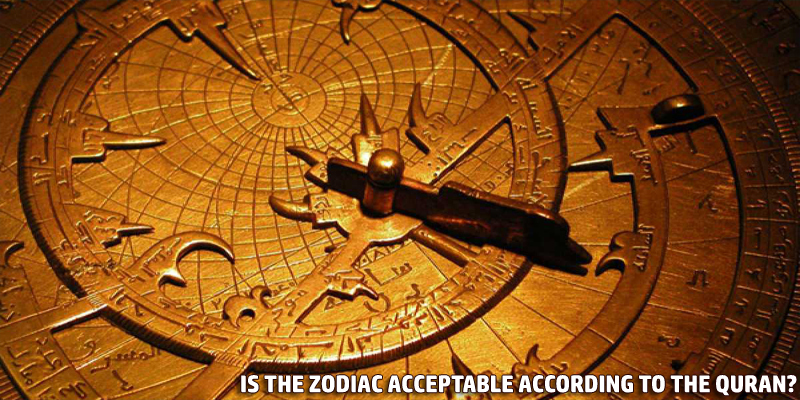 IS THE ZODIAC ACCEPTABLE ACCORDING TO THE QURAN? You’re browsing your local newspaper and reach the zodiac page. Would it do any harm to take a wee peek at your horoscope for today? You’ve just met someone new, and in an effort to get to know you better, they ask, “What’s your sign?” How do you respond? The word “zodiac” has different meanings depending on the field: In astronomy it refers to a kind of twelve-link chain in the sky, with the sun’s yearly path at its centre. These twelve links or divisions correspond roughly to the boundaries of twelve famous constellations. In astrology the word “zodiac” refers to the names of the twelve constellations themselves. Astronomy is the natural science whose object is the study of any material objects “out there” beyond Planet Earth. Even amateur astronomy buffs report that studying celestial objects like planets, stars, galaxies, and even gases provides an unparalleled sense of awe, dwarfing their problems and bringing a sense of grandeur and tranquility into their lives. Alhamdulillah— our creation is marvelous and worth contemplating! The stars, planets, sun, and moon are not only spectacularly grand and beautiful, they’re also a vital source of information for travellers, mariners, climatologists, and many others. Astrology is a means of divining earthly events according to the position and movement of the stars, sun, and moon. The zodiac has twelve constellations based on ancient Greek myths, one of which is assigned to you according to your birth date— this is your “sign,” something that’s supposed to give astrologers the capacity to describe your personality and chart your life’s journey for you in advance. The following aya dismisses this whole concept on two levels: 1). The stars are Allah’s creation, material objects that He can also destroy at will, and they bear no connection with any celestial beings. 2). You can’t know your destiny until it happens or unless Allah Himself shows it to you, and trying to divine it is contrary to Islam. We should be more concerned with the state of our deens than with external events in the dunya. The Quran is quite clear that Allah is the one and only master of the universe. The universe and everything in it bears the stamp of His divine beauty and majesty. The stars have no control over or influence on your destiny. The stars, in fact, are His worshipers! The Quran goes one step further by condemning divination (foretelling the future with the use of physical objects), putting it right down there with drunkenness, gambling, and sacrificing to idols. You could argue that studying your horoscope and using it to plan your daily activities is not worship, exactly, but please consider that following your horoscope means giving your time and thought to something and using that something to plan your day. If that isn’t worship, it comes dangerously close. Basing your goals and strategies on the zodiac is evidence of a belief totally at odds with the Quran. Following your horoscope means making idols of things Allah has created. Besides, the signs of Allah are so rich with meaning and consolation that we have no excuse for turning to pagan traditions! The final word belongs to Surat Al-Fatihah. How can anyone recite these beautiful words in salat and then turn to a horoscope for guidance?